The Alpaca Bedding Company products feature a white 600 thread count cotton fabric covering. 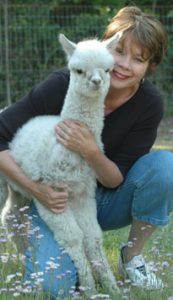 Both alpaca and wool come from animals raised in the United States. Cotton coverings are also made in the United States. We truly thank you for your business and would appreciate your comments! Please submit via email and we will send a thank you gift via USPS.